Here I spent a few days at a private viewing in a former RAF Station, RAF Bruntingthorpe in Leicestershire which had on show some British military aircrafts, namely the Buccaneer, the training aircraft The Hawker Hunter and the Canberra WT333. I also had an opportunity to shoot some military aircrafts at RAF Cosford. 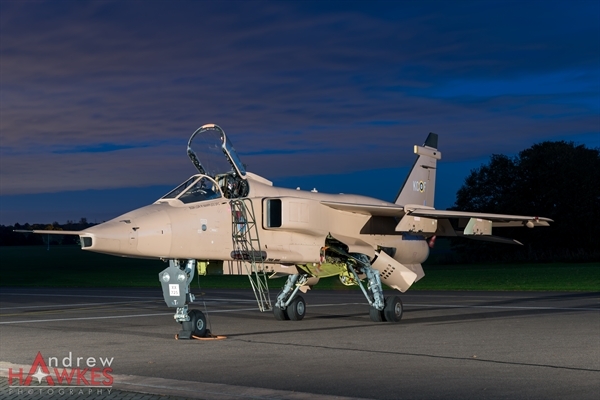 On show were some Jaguar Fighter Jets, Tornados and The Harrier, informally referred to as the Harrier Jump Jet, is a family of jet-powered attack aircraft capable of vertical/short takeoff and landing operations (V/STOL). Originally developed by UK manufacturer Hawker Siddeley in the 1960s, the Harrier emerged as the only truly successful V/STOL design of the many attempted during that era, despite being a subsonic aircraft, unlike most of its competitors. It was conceived to operate from improvised bases, such as car parks or forest clearings, without requiring large and vulnerable air bases. Later, the design was adapted for use from aircraft carriers. Special thanks goes to the Officers and crew of 238 SQN RAF for all their help, their time and effort in setting up this display over a number of days. I also visited The Museum of Army Flying which is a British military aviation museum about the history of flying in the British Army. It is located beside the Army Air Corps Centre in Middle Wallop, close to Andover in Hampshire.